DIVA NIGHT, THURSDAY, APRIL 12th! Home › The Run Down › DIVA NIGHT, THURSDAY, APRIL 12th! 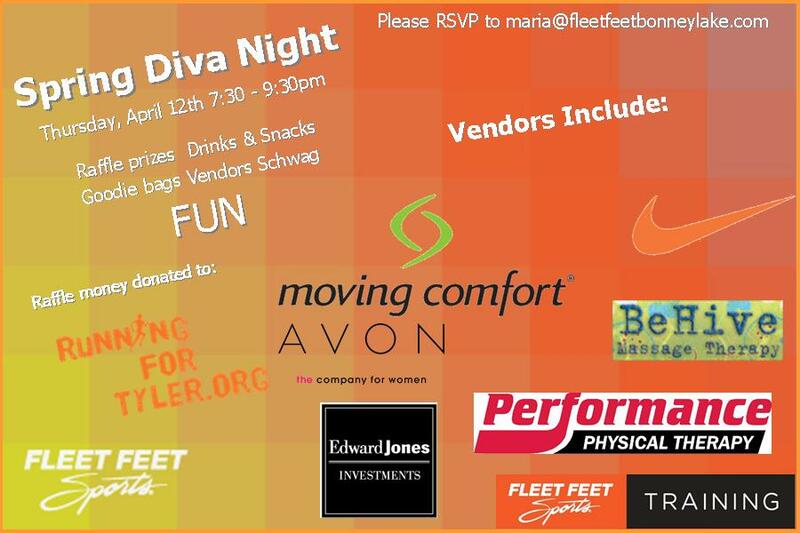 Diva NIGHT is Fleet Feet's celebration of women! We throw a party for women and pamper them with gifts, deals, and a good time! Lot's of opportunities to win prizes, and receive deals! Our raffle money is also donated to a noble cause! Please Come Join us!